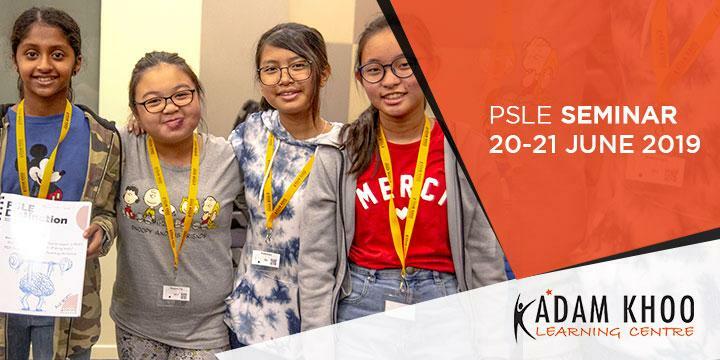 This is a must-attend June Holiday Programme for students taking PSLE IN 2019 and 2020. Read on! Your answer lies here. The Adam Khoo Learning Centre PSLE Seminar has been successfully run for decades, bringing joy and success stories to over 7800 parents. We've studied the strategies, formulas and we're here to teach, groom and equip. 1. Simple yet POWERFUL study plans and methods to help your child take charge of his/her PSLE revision! No more "I don't know" or "How do I start?" Precious revision time should not all be wasted on organising and nailing foundation steps down. We teach children memory tips, revision strategies, study skills and hacks! 2. Be equipped with powerful tips from our PSLE Maths, English and Science Specialists on the latest PSLE question trends. Carefully spotted from the last 3-5 years, we aim to equip your child with knowledge and experience using our in-house worksheets and proven teaching strategies. All past "I Am Gifted!" participants get 50% off retail price. All current NTUC members and AKLC students get 15% off retail price. *NTUC members: do key in your EXCLUSIVE promo code sent to your membership email to activate the discount! *This is NOT a stay over camp. Location: Zhaolim Building, Level 2. 115 Eunos Avenue 3.